Discover the best of Tuscany! This small group tour of Tuscany will explore picturesque Tuscan towns, while enjoying the world-renowned food and wine of the area. 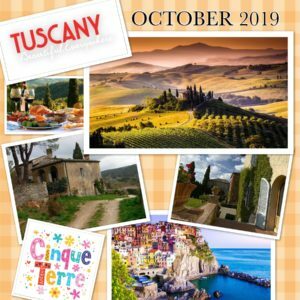 Taylored Tours’ Walk, Wine, & Dine through Tuscany includes a 6 night stay at Spannocchia (October 13-19, 2019), a beautiful nature reserve in the hills of Tuscany. Daily breakfast and four-course family style traditional Italian dinners are included while staying at Spannocchia. We will start our mornings hiking the lush Tuscan landscapes. Our tour will consist of daily walking excursions of Siena and the neighboring hill towns in Tuscany, where we will explore fabulous restaurants and wineries. During our stay at Spannocchia, take optional classes and tours including a Traditional Italian cooking class, Italian winemaking and wine tasting tour, olive oil production tour, Cinta Senese tour and tasting. Our group tour will continue in Vernazza, Cinque Terre, for two nights. 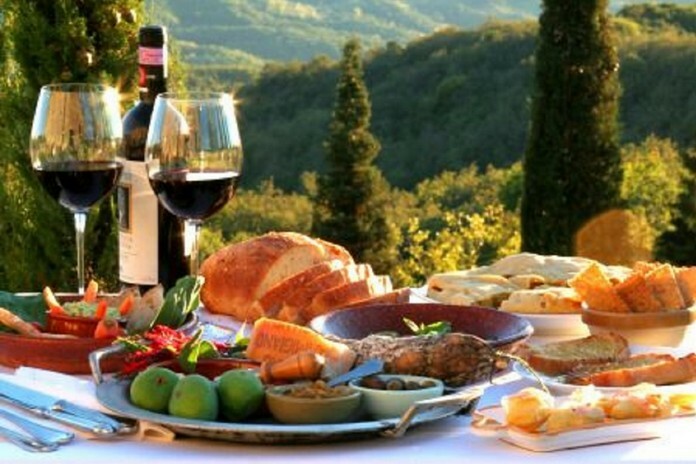 We will hike the trails of Cinque Terre and enjoy the fragrant food and wines along the coast of the Italian Riviera. Our trip concludes with a night in Florence. Cindi Taylor (Taylored Tours) is a winemaker who loves to hike and travel almost as much as she loves wine! During her travels, she discovered Spannocchia and fell in love with everything it has to offer…including winemaking, olive oil production, cooking classes, and hiking throughout the 1100 acres of the Tuscan farmland.